The Mary Condon Hodgson Gallery in the Visual and Performing Arts Building at Frederick Community College. 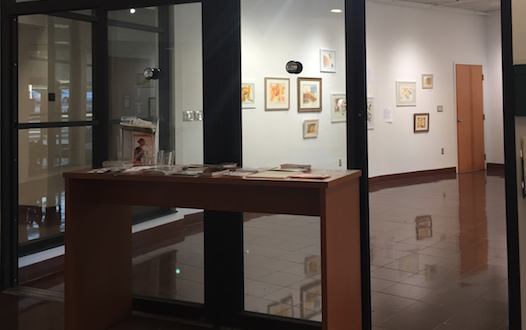 “Medica Veritate” is the current art exhibit in the Mary Condon Hodgson Gallery located in the Visual Arts Building at Frederick Community College. The exhibit features over 60 paintings with accompanying works of writing by Dr. Sarah Bigham that runs October 6th – November 1st. 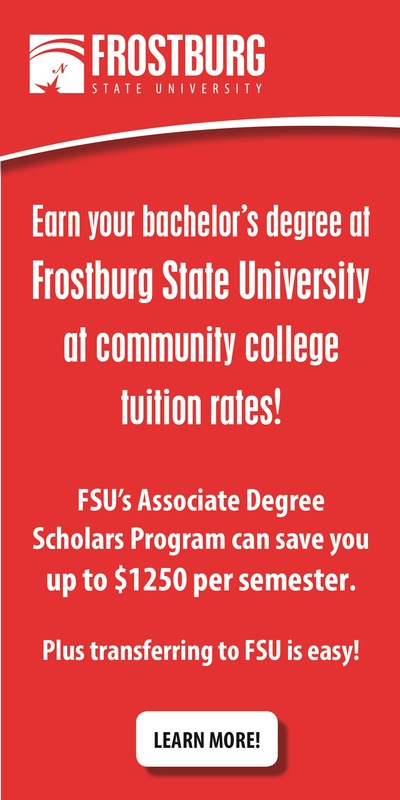 Dr. Bigham, E.d.D, is a professor of education at FCC who battles with multiple chronic pain conditions. Despite having very minimal formal training, Bigham uses natural and personal mediums from cat hair to expired prescriptions to create abstract paintings. Bigham uses this as a therapeutic way to express her suffering and give a voice to those who struggle to find the words for their pain. Bigham has felt the effects of chronic pain for as long as she can remember. Bigham carries vivid memories of her childhood containing multiple instances of sitting on the steps complaining about painful headaches to her mother. Five years ago, Bigham was diagnosed with multiple pain conditions. Bigham and a team of physicians are engaged in a daily battle against chronic pain and fatigue. “Even if you have a great support system, sometimes you just feel totally alone on your own planet of pain, so it’s wonderful to find more people who understand,” Bigham said. 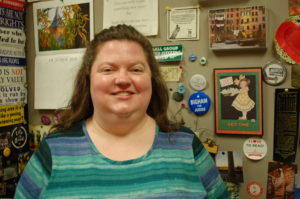 Sarah Bigham, E.d.D., poses in front of a wall of student work in her office. Being understood is one of the biggest challenges that “chronic pain warriors”, such as Bigham, face on a daily basis. While Bigham was fortunate enough to find a team of physicians that truly understand her conditions, numerous others are not always as lucky. Many patients fail to find accurate words to describe the pain they experience, and when they do manage to explain it, they are often not believed. Her pain conditions have been a constant challenge, and has drastically altered the way she lives her life and the opportunities she’s able to partake in. Bigham and her wife used to travel frequently for a couple months over the summer, but now have to localize their adventures due to the inability to sit on a plane for extended periods of time. 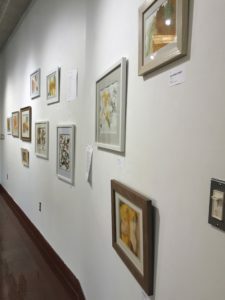 A few featured paintings in the “Medica Veritate” exhibit in the Mary Condon Hodgson Gallery in the Visual and Performing Arts Building at Frederick Community College. Her pain has increased the “night owl” tendencies she has had for the majority of her life. Bigham creates many of her pieces in the latest hours of night, which allows her to work at her own pace. While unable to control her medical state, painting gave the professor a sense of control that she rarely gets to experience in other parts of her life.